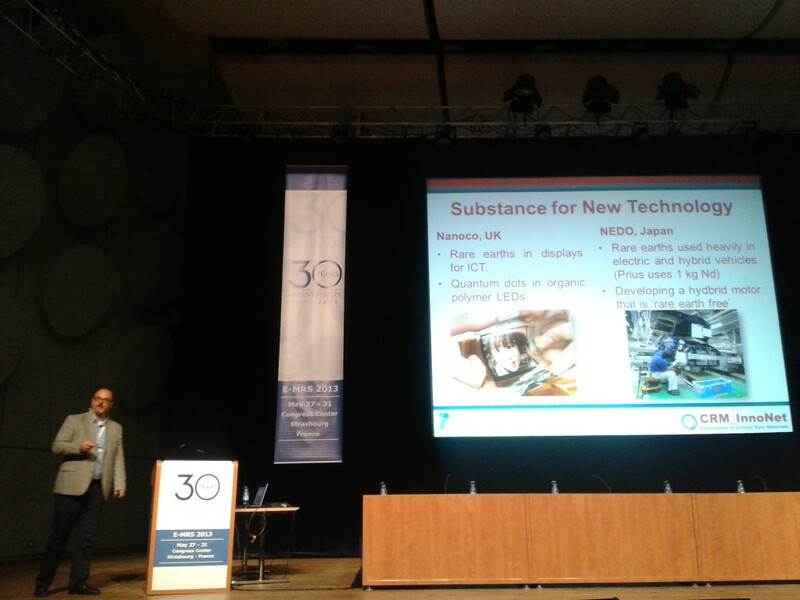 The CRM_InnoNet team recently visited the European Materials Research Society spring meeting. Pablo Tello and Nader Akil from PNO networked with businesses engaged in substitution as a strategy to mitigate critical raw materials-related risks and met the materials science community who will discover and characterise the next generation of materials, which could act as substitutes for current technologies. Two presentations on CRM_InnoNet were given in the Workshop F “Nanomaterials for Energy Conversion and Storage” and “Europe in Motion” and Pablo Tello and Nader Akil were on hand to promote the Innovation Network. We are hoping to be at the next EMRS meeting in Warsaw in September so look forward to seeing everyone there too.